King's Cove boasts steep cliffs that frame the early fishing station dating from the 1700s. St. John's merchant James MacBraire established a major fishing station here in the early days. King's Cove was once known as the "Athens of the North" because of the many famous residents including; Gerald S. Doyle, J.T. Lawton, P.K. Devine and John Devine. Visit the new Kings Cove Museum in town and don't miss the King's Cove Lighthouse built in 1893. The lighthouse was built after some fifty shipwrecks occurred in Bonavista Bay. It was constructed of pre-cast iron shipped from Birmingham, England. The first lighthouse in Newfoundland to be fitted with a revolving kerosene light system from Sweden, it was visible from 14 nautical miles. 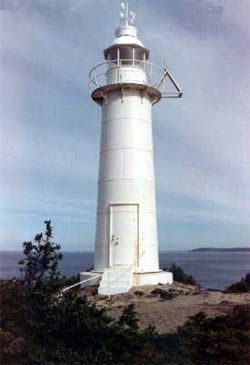 Hike the 1.7 km inner loop or 3.5 km, outer Loop King's Cove Lighthouse Trail.